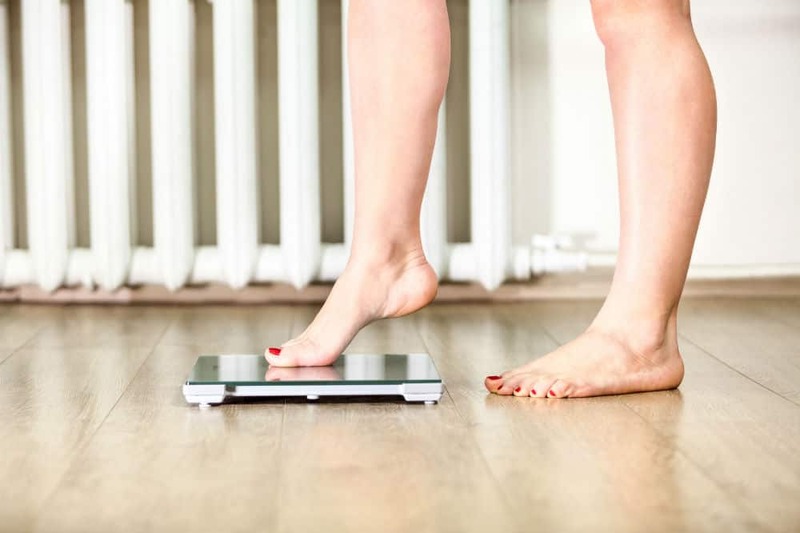 A scale can be the perfect addition to a weight loss program. With the BalanceFrom High Accuracy scale it’s like having a personal trainer at your beck and call. It’s a simple scale which offers user friendly features. The few specialized details BalanceFrom added improve its functionality enough to set it apart from many others on the market. What are you currently looking for in a bathroom scale? You probably require it to be user friendly or you’ll simply leave it in a cupboard. The BalanceFrom scale is an aesthetic delight so you’ll probably let it add to your bathroom—or any other room—décor. You can see the BalanceFrom scale suffices for a range of preferences. What are your specific needs? Use this review to help you understand the scale and see if it matches your requirements. BalanceFrom designed this model with a specific scenario in mind. Individuals for who weight and weight changes play important roles in their daily routines will love the scale. Here are some features that can benefit you too. This is a user-friendly bathroom scale that you can start using the moment you take it out of the box. There’s no setup required. It’s advised—as with most scales—that you ensure its calibration is in order. This you can do by comparing its readings to another scale. Transporting scales may cause them to give the wrong readings the first few times you use them. It gives accurate readings within 0.2 lb of the actual weight. It can handle up to 400 lbs. Thanks to a non-slip feature on its bottom surface you’re safe even if you’re weighing in in a bathroom with a lot of moisture. BalanceFrom realizes users require health devices to look as amazing as they work. This characteristic makes it easy to give your bathroom scale a prime location in your bathroom. That way you won’t forget to use it. With the High Accuracy scale, you won’t hesitate to place it in any room. The sleek design made from tempered glass looks modern and will easily match your bathroom’s aesthetics no matter the style. There aren’t any buttons or features on the top to take away from the smooth aesthetics. A vague outline shows you where to place your feet so you can get accurate readings. An effortless weigh in process makes your day much easier. This is especially relevant after a tiring exercise routine. 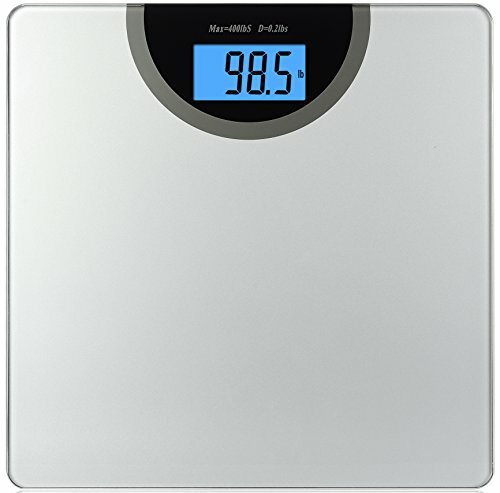 With this product from BalanceFrom you don’t even have to turn your scale on. It automatically turns on when you step on it. This is thanks to the manufacturer’s “Smart Step-On” technology. The manufacturers are so passionate about helping users lose weight and living healthy lives. They even add a tape measure to the product contents. This enables you to keep track of your weight and size. Unlike many other scales this design features rounded edges. This makes it safer for use especially around children. First set of batteries included with purchase. Can give readings in either kgs or lbs. Saves battery life through auto turn off features. Turns on the moment you step onto it. Inaccurate readings when weight isn’t perfectly distributed. Can only keep one person’s previous reading. Battery power is used up quite quickly. Glass gives the probability of breakages if handled incorrectly. You can’t turn off the memory feature. This is problematic for people who don’t want others to view their weight readings. It’s not advisable to weigh anything else than human beings on a digital bathroom scale. Testing it with other items can give the wrong readings since it’s difficult to ensure the weight is evenly dispersed across the scale’s surface. Always keep batteries on hand. You don’t want your health program to be stopped by improper planning. Find a level area where all corners of the scale rest on the floor. The sensor system involves these corners. If one of them doesn’t make proper contact or experiences the same pressure as the others your readings may be faulty. Only use very firm surfaces. A vinyl floor with excessive padding may not offer enough support. A level tile or stone floor is best. Many digital scales require calibration when first in use. Make sure this is done right so you don’t doubt future readings. This sleek product from BalanceFrom is a perfect addition to your bathroom. It will serve you well in aesthetics and will help you keep at your training program. It signifies a new generation of bathroom scales. No longer must scales simply deliver facts. Through technology they help you stay on track with your health goals. For a simple solution to an important challenge in your life try the BalanceFrom High Accuracy Premium scale today.